The pastel paintings by Mary Lang Killilea are known for their attention to detail and celebration of the natural world around us. 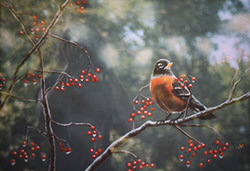 She has won the Sax Gold Medal Award for watercolor and a First Place in the Pastel Journal Annual Competition. Her work was featured in “Pure Color, The Best of Pastel” from Northlight Publications, in 2006.